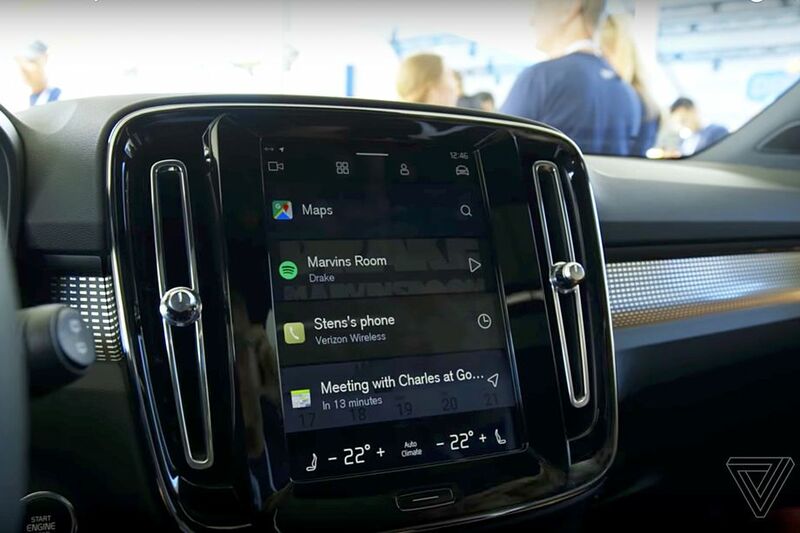 Google has spent the last few years working (somewhat quietly) on an Android-based operating system for cars that doesn’t require the use of a smartphone. It will tap into a car’s system-level operations, meaning you could ask Google Assistant to turn on the heat, turn off the seat warmers, or even book maintenance appointments. The system is also customizable to suit carmakers’ differing styles, giving them more control than they get with projected Android Auto (or Apple’s CarPlay, for that matter). Yeah, there’s that Honda bike with CarPlay. I still really want to try that out. As hard as this may be to actually make happen, something that would encourage people to leave their phones in their pockets the whole time. Yeah, absolutely. That’s one of our goals. And without the potential wonkiness of wireless projection. Yeah, I think that’s not unique to our automotive efforts. With Google Assistant and everything we’re doing, we’re trying to create a more personalized experience that can be more helpful. So, similarly, in the car, we want to do the same thing. Something we already do in Android Auto today is, if you drive frequently... on Fridays, I go and drop my daughter off at school. It should learn that, right? So automatically suggest that route as I’m getting in the car. But you need to do it in a privacy-sensitive way, right? If I lend my car to someone, I don’t necessarily want them to see where these things are. Especially in cars, which are much different than mobile phones and other things, cars are fundamentally shared devices. And so we’re really thinking about that experience, and how do you trade off things like a highly personalized experience with user privacy to make sure that it’s protected. Automotive Grade Linux, LG is teasing a webOS system. Does it feel like we might have that same sort of competition start happening in the car? Yeah. I would say, by and large, though, that the carmakers... it’s not like back in smartphones, where you could afford, as a device manufacturer to have different phones running different systems. I think all the way back to, like, HTC in the early days. They had the HTC Touch or something running Windows, and they had a whole bunch of those, and they had their Android line. Carmakers generally don’t do that. Because the investment in these infotainment platforms is so high that doing multiple different versions of them just increases their cost, and R&D, and time to market, and maintenance, and everything, so they tend to kind of go all in on one. But, short version: no, the contracts aren’t exclusive. Yeah. I mean, we want them to, I think all carmakers... This isn’t even a point of discussion. All carmakers are moving to building connectivity, and they’re moving to software over-the-air updates. It’s what consumers want. I think it’s what the carmakers want. They can now push fixes for issues instead of having to have everyone come into a dealership. So that’s the trend, that’s where things are going regardless. And we love it because it means, again, we want to increase the pace of innovation. So it’s not just fixing bugs and things like that, or security issues, but also delivering new features. Yeah. So projection is definitely there. 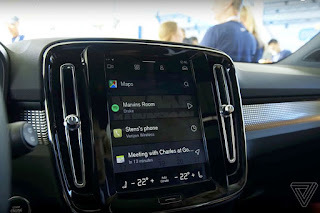 I also think that we have a future where having both... if I have an Android phone that has apps installed that are Android Auto-capable... because Spotify, and WhatsApp, and Waze, all of their Android Auto capabilities are built into the smartphone app here. Imagine I get into a rental car, and it runs Android as an embedded system. We can create an even more seamless experience where you’re not necessarily flipping between two different systems like you do today with Android Auto and CarPlay. It’s all one system, but the apps show up. And you as a consumer, you don’t know or care if they are running in the car or if are they running on my phone. You never need to install them in the car. You’re not logging into them in the car. They’re actually running on your phone, but they show up there. We’re super excited about that. And again, I think that’s really taking the kind of best of both worlds there. The built-in, kind of seamless experience in the embedded system, and the highly personalized and continuous nature of the mobile phone as something that you bring with you everywhere you go, it knows you better than any other device.